In July 2017, a set of small-scale sculptural works by Simon Burch was inadvertently destroyed by a gallery visitor while on view at 14th Factory in LA. 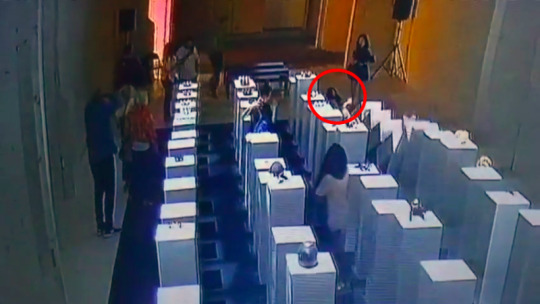 While attempting to take a photograph of herself with the work, the visitor backed up, lost her balance and fell over, toppling a series of pedestals. Three sculptures were permanently damaged and others to varying degrees. No charges were filed.